The Festival’s 46th season introduces NEW onstage seating sections, continues an expanded performance calendar and offers savings on two-show packages. Discounted Early Bird tickets are now on sale. INCLINE VILLAGE, NV (November 28, 2018) – Entertainment, food, family, and friends will converge under the stars on the scenic shore of Lake Tahoe this summer as Lake Tahoe Shakespeare Festival (LTSF) launches its 2018 season. Due to the popularity of the extended season in 2017, the Festival will continue with an additional week of performances of its two mainstage productions. Showcasing live entertainment seven nights a week, July 6 – August 26, 2018 at Sand Harbor, Lake Tahoe Nevada State Park, Lake Tahoe Shakespeare Festival’s 46th season is headlined by productions of Macbeth, Shakespeare’s towering tragedy, and Beehive: The 60s Musical, off Broadway’s groovy retro-hit revue, created by Larry Gallagher. LTSF Producing Artistic Director, Charles Fee, will direct Macbeth and Victoria Bussert will direct Beehive: The 60s Musical. The productions will be performed in rotating repertory Tuesdays through Sundays at 7:30 p.m. Discounted Early Bird tickets are on sale through December 31st. In an exuberant jukebox celebration of the women musicians who made the 60s truly memorable, Beehive: The 60s Musical transports audiences on a nostalgic musical journey back in time. Featuring forty classic chart-toppers (and Aqua Net-glistening coiffures, of course), this groovy retro-revue highlights hits that range from the Supremes’ memorable melodies to Janis Joplin’s heart-rending rasp to Aretha Franklin’s soul and more. So break out your vintage best…and prepare to sing along, dance in the aisles and relive one of music’s truly golden eras. The LTSF entertainment experience is complimented by al fresco dining at its on-site restaurant – Shakespeare’s Kitchen. Alternatively, patrons may choose to bring their own food or drink for picnicking. Complete information about picnicking and cooler size limitations may be found at www.laketahoeshakespeare.com/visit/faq. Patrons are invited to enjoy the best savings of the season when they purchase tickets to both Macbeth and Beehive: The 60s Musical as part of a 2018 Subscription Package. 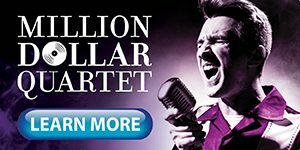 Patrons can save up to 18% off regular priced tickets when purchasing two-show Subscription Package tickets. Subscription Package ticket discounts have already been applied to the pricing that appears on the LTSF website. No promotional code information is necessary. 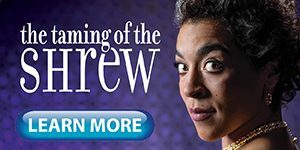 Subscription Package tickets may be purchased online at www.LakeTahoeShakespeare.com or via phone at 1.800.74.SHOWS. Tickets Are On Sale Now. Early Bird Discounts Are Available Through December 31st. Adult Early Bird tickets range from $30 – $94.Youth Early Bird tickets range from $15 – $25. 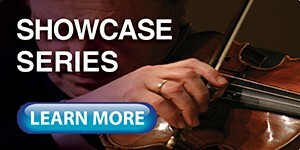 Early Bird discounts have already been applied to the pricing that appears on the LTSF website. No promotional code information is necessary. Tickets may be purchased online at www.LakeTahoeShakespeare.com or via phone at 1.800.74.SHOWS. A multi-event Showcase Series will augment the Festival’s 2018 mainstage productions and feature a diverse array of live music and entertainment from a variety of genres. The complete lineup will be announced in the spring of 2018. A wide range of Sponsorship opportunities are available. For information, contact Rae Matthews at (775) 298-0154 or via email at rae@tahoebard.com. Lake Tahoe Shakespeare Festival is a 501(c)(3) non-profit organization established for the cultural benefit and enjoyment of all residents of and visitors to Lake Tahoe and the region. Annually drawing more than 30,000 attendees from across the country to the specially built Warren Edward Trepp Stage along the north shore of Lake Tahoe, the Festival is committed to producing the finest cultural events in the region. The Festival’s community outreach initiatives are highlighted by signature educational programs that include InterACT, an interactive school-based workshop series for students designed to educate future generations about the importance of the arts, theater and music, and the D.G. 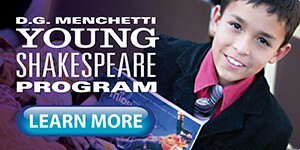 Menchetti Young Shakespeare Program, a series of performances produced specifically for younger audiences that are presented free of charge during the summer at Lake Tahoe and throughout region.